Hi! I'm Erin. 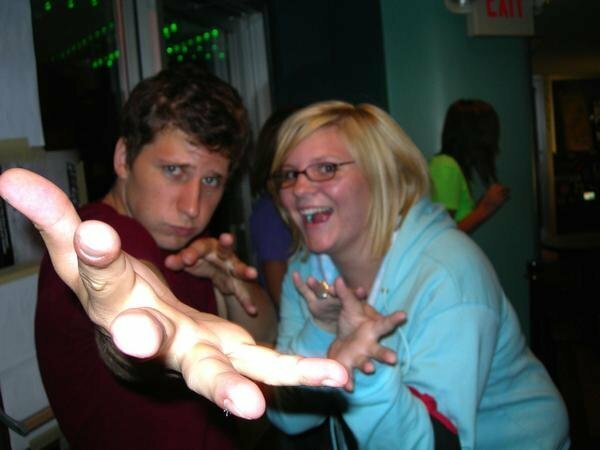 I have been a fan of Ace Enders projects since I was 14 years old. I have traveled all over to see him and the thought of him leaving the music scene literally breaks my heart. I couldn't very well sit here and watch that happen without trying to do something that might keep his spirits up and might be able to help support his adorable son Artie, and one of the best ladies I know, Jenn. I wanted to start making these shirts to try and bring awareness and raise a little bit of money to send to them. 100% of the profits goes right in the hands of the Enders. I have been screen printing for 4 years and I quite enjoy it. So please, every little bit counts. I will make every shirt with love and if you are unhappy with a product, you can always contact me and we'll work something out. I won't bite. I hope you all have a great day and you fill it with beautiful music! If you haven't read this interview about Ace and his current standing in the music scene, please do so. This is why I have opened up the store!